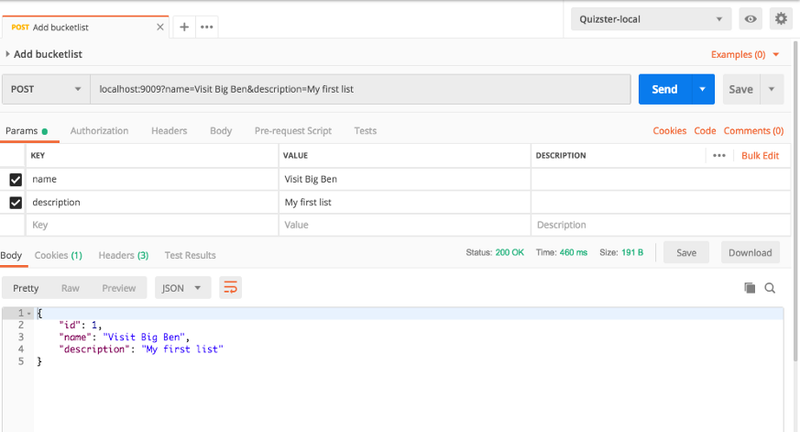 In part two of this tutorial, you will learn how to store our bucket lists in the MySQL database and deploy it to Heroku. To get the finished code, scroll down to the bottom of this page. 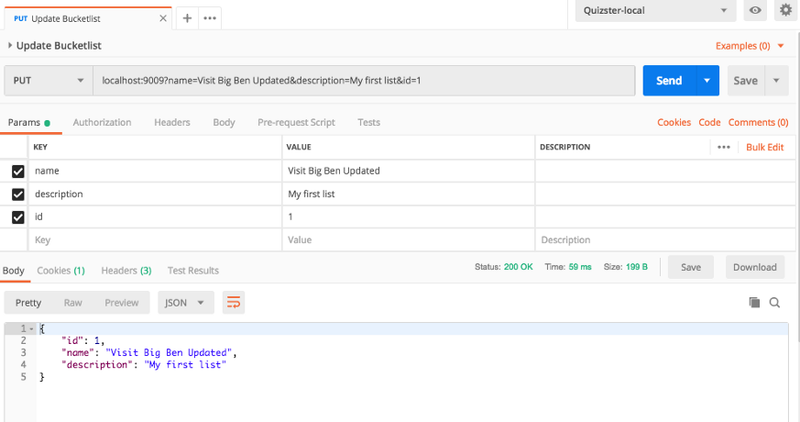 If you don’t know what a REST API is or want a refresher on what we have covered so far, please read part 1 of the tutorial here. Web: It provides with tomcat server which handles request and response mapping among other things. JPA: This is the ORM, Hibernate to be precise. It provides a wrapper for mapping Java classes to tables in the database. 8. Database GUI: Sequel Pro. You can use any tool of your choice. This tutorial will be divided into two sections. In section 1, we will be using start.spring.io to specify the dependencies we need and generate the boilerplate code. In the next section, we will write the code. Head over to start.spring.io and provide the group and artifact name for your app. It is a Maven project written in Java 8. 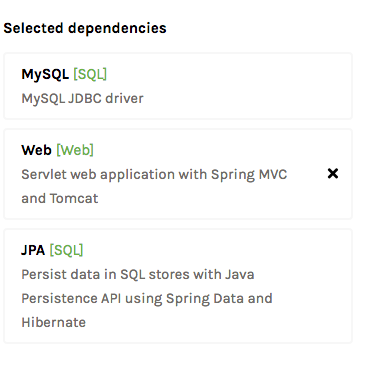 The dependencies are MySQL, JPA, and Web. The group Id is com.zerotoproduction. Yours can be anything. The artifact id is bucketlist. Open extracted folder in your editor. We need to create two Java classes. One will serve as a controller for receiving request and responding with response. The second will serve as a data model. 1. @Entity: with this annotation, we have specified that this class represents an entity in the DB. 3. @Column(name = “id”, unique = true, nullable = false): @Column specifies that this field should be column, its name should be id, the values should be unique and it cannot be null. 4. @GeneratedValue(strategy = GenerationType.IDENTITY). We are specified that the values should be generated by DB using Identity generation type. We also need Data Access Object (DAO). Luckily for us, Spring comes with lots of options from CrudRepository to JPARepository. 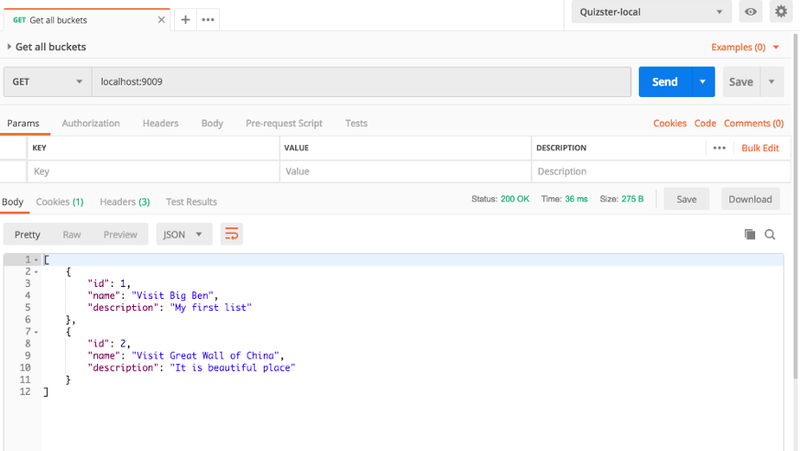 These interfaces provide CRUD functionalities out of the box for Objects annotated with @Entity annotation. However, the caveat is that your DAO interface must extend them and specify the entity and data type of the primary key for that entity. In our example, we are extending JPARepository like so: JpaRepository<BucketList, Long>. The entity is BucketList and data type of its primary key is Long. 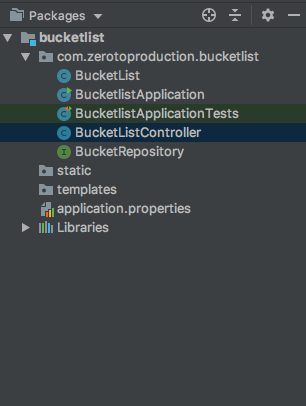 Now we have all we need to persist our buckets in the DB. Since we are connecting to a database, we need the address of the database, username, and password. We will test this locally on our pc before deploying it to Heroku. I have specified the properties in application.properties. spring.jpa.hibernate.ddl-auto specifies how hibernate will handle entities in your database. The create option means that all entities will be dropped and created at every restart while the update option adds changes to the entities without dropping it. In production, you need to use update else your data will be flushed. server.port specifies the port number our application will run on. I also added a second bucket list. You can add as many as you want. Note: heroku command works because we have installed heroku cli. It should return your connection string. You need to replace the spring.datasource.url value in application.properites with the value return from heroku config. To test, you remove the localhost and port number then you replace them with app name returned by Heroku. That marks the end of part 2 of this guide. Going forward, I have decided to make this guide into a series where I work you through building an application using microservices architecture. In part 3, I plan to introduce authentication and roles using Spring Security commencing with jwt. In part 4, I will work you through the different approaches to creating authorisation and resource servers. In part 5, we will consume the rest api using a JS library like VueJS or React JS. Share and leave your comments. I would be happy to help.